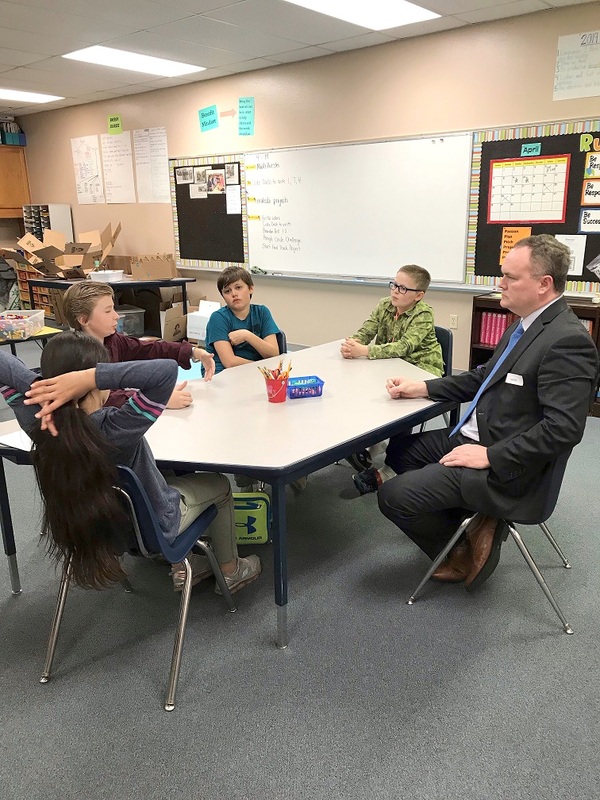 Aaron Parker Elementary guest speaker Judge Brandon Bell spoke to the fourth and fifth grade Gifted and Talented students in Britany Creamer’s class on Tuesday. Since a few of the students are interested in politics, he gave advice on what to study in order to pursue a career in politics. He talked of his own personal story of entering politics and his successful campaign at becoming a county judge. For the history buffs in class, Bell talked about presidential history and shared how Sam Rayburn, a famous politician from Fannin County who served over 17 years as U.S. Speaker of the House and shaped some of his experiences. Bell quizzed them on some less common trivia that they actually knew and took time to answer their questions.